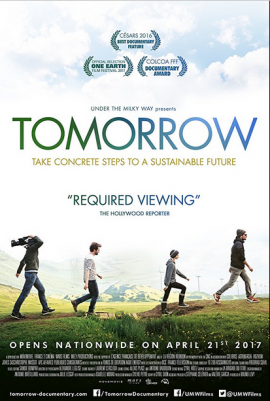 This documentary is a hugely positive, affirming and inspirational film exploring community led creative solutions to the challenges we face in this modern world around food, energy, transport, economics and education. It has been described as the perfect antidote to the current sense of global despondency and we are really excited to be bringing the film to Oldmeldrum. There will be teas and coffees served after to give people the opportunity to chat about the film and network. Please spread the word far and wide and let us know if you are coming to help us plan for numbers. We’d like to thank Meldrum Academy, Councillor Paul Johnston – Democratic Independent – Aberdeenshire Council, AD Heating Ltd and Archer Knight Limited for their support, and hope to see lots of you there! Here’s the link for registering for tickets so we can keep a check on numbers.